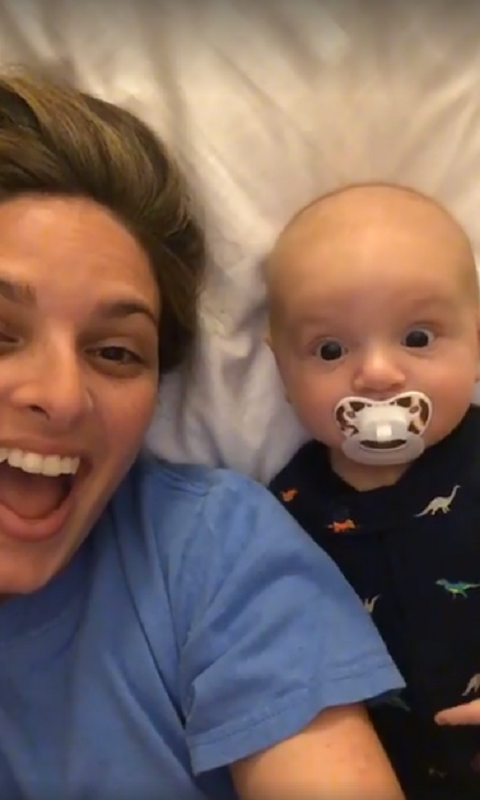 Baby Spots Mom In Phone Camera & His Surprised Face Has Hearts Melting. Nowadays we’re all used to seeing the sort of technology that would have felt like magic just a decade ago. Not so long ago, we were thrilled to get digital cameras that didn’t require buying and developing rolls of film, and now here we are with high-quality camera phones in our pockets at all times! Still, there are some people for whom modern technology is still a wonder, and little Bennett Boals is one of them. 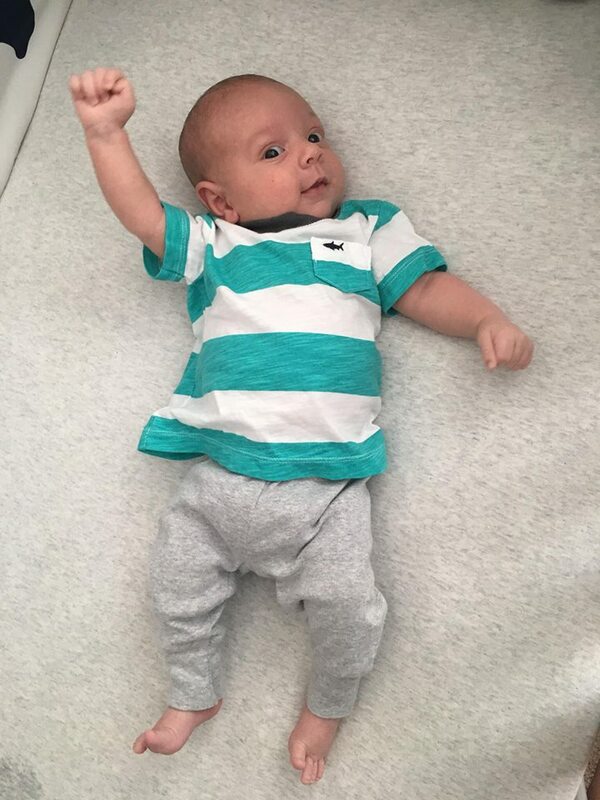 Bennett is just three months old, but he’s already a viral superstar thanks to a video his mom uploaded on the day after Christmas. 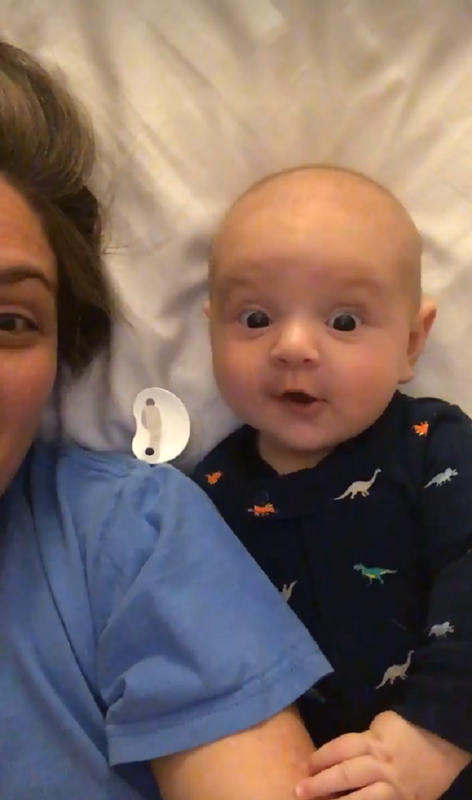 Andrea Boals of Lakeland, Florida captured a quick video of herself and her son that perfectly demonstrates the sheer wonder of technology as seen through the eyes of babes. The video was taken on Christmas day. Andrea was lying down next to her infant son, holding her cell phone camera above them. When Bennett looks up and sees the familiar face of his mommy, his eyes get as wide as saucers. You can see the thought process etched on his tiny face. How can his mommy be right next to him but also above him? 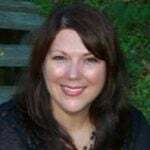 “Bennett didn’t know what to think when he saw himself and me on the phone screen and then it really blew his mind when he realized I was still right next to him,” Andrea explained. 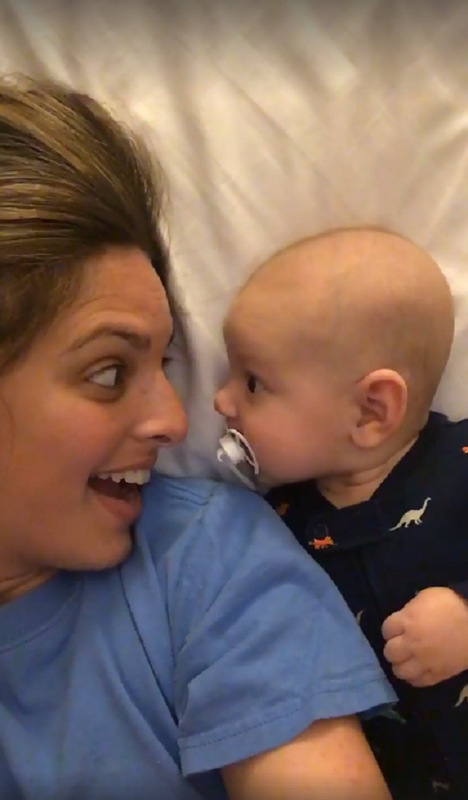 The inquisitive little guy simply can’t believe his eyes, swiftly turning his head to look into his mom’s face and then bursting into a huge smile when he sees that yes, she’s still there. The best part is that Andrea plays along with it and acts just as surprised as he is! 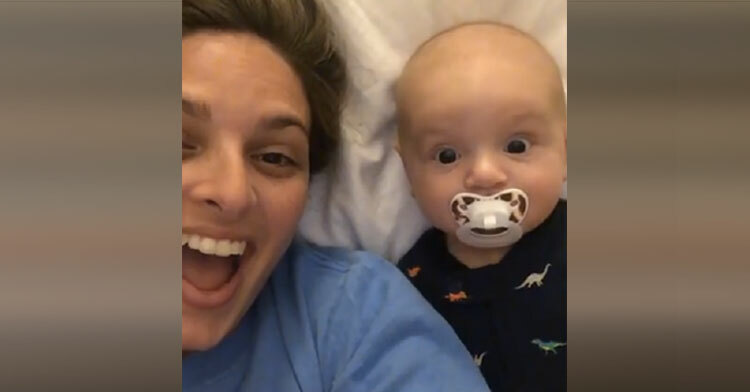 Andrea uploaded the clip to Facebook with the caption, “When you just can’t believe that you’re seeing TWO of Mommy.” The clip quickly went viral, racking up millions of views and shares. It’s hard to watch this video and not feel like your heart is bursting! 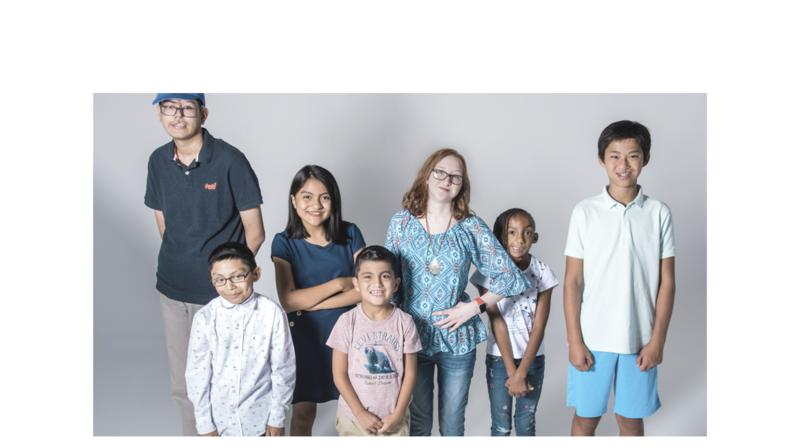 See for yourself by watching the video below, and be sure to share this warm, wonderful feeling with everyone you know!